There are 17 Child and Family Health Clinical Nurse Specialist Programs in our directory, all of which are at the graduate level. There is no limit to the quality of care that you expect for your children and family. In terms of health care, there are many different types of practicing professionals that you can run into during a routine stop at a hospital or medical center, many of which having very diverse educational backgrounds. One field in particular that receives high regards in terms of standards is that of Child and Family Health Certified Nursing Specialists. These professionals have a highly diverse set of skills that can be applicable within many settings. As a Child and Family Health CNS, you could work in a medical setting - providing care to patients within your specialization, research - providing knowledgeable insight in the development of health initiatives and treatment programs, or even in education - educating other nursing professionals about what is required within the field. There are so many possibilities available for this higher degree program in nursing. Depending on what interests you, could find a place within the field of nursing specialists in your area. If you are working as a nurse or interested in being a part of this remarkable field, our team wants to assist you with getting the information you need to find success. CNS work in medical centers and within health care providing organizations, giving insight into more effective treatment plans and follow-ups for families. According to the National Association of Clinical Nurse Specialists, 8 states currently allow Certified Nursing Specialists to practice without having a supervising physician. As this change continues to take place, more people are finding this field an interesting place to find a career. What is a Child and Family Health CNS degree? You may have an idea about what you want to do in your career and the degree program you need to get there. At this point, learning more about what the actual degree provides is probably your next best step. Although you can tell a lot about a degree by its title, there is much more to learn prior to enrolling. Degrees that include the Child and Family Health CNS description provide a further specialization into various topics within nursing. One of the reasons degree programs like this one were created was to give nurses the opportunity to settle into one specific topic within nursing and master it. Programs that offer Child and Family Health CNS distinctions can be found at the master’s level – through MSN programs, and at the doctoral level – through DNP programs. For nurses that have previously completed a master’s education, certificate programs may also be available. This degree program is a method for upcoming students to learn more about topics in nursing that interest them. By taking courses that are solely formed around this expertise, nursing specialists can enter into the field with the confidence and understanding of the information gained through college education. If you are the type of person that wants to know everything there is to know about a subject that is interesting to you – this could be the field you are looking for. Our education experts did some heavy research to provide you with some information regarding the education components and outcomes for this degree program. Check out what they have provided below this section. When you enroll into a Child and Family Health CNS degree program, you can expect to have courses that are related specifically to the health of children, adults, and even the aging population. A family can consist of many different types of people with different health-related concerns and situations. It is important that degree programs offering this specialization offer a curriculum that provides insight into these varying components, so that you know what to expect when you start working in the field. Since the educational program can show some variety between different colleges, our team thought it would be helpful to provide you with some example courses for this degree program. Biostatistics for Evidence-Based Practice: In the field of nursing or any other medical field, biostatistics are an important part of developing meaninful research for future science. In this course, students can learn how to apply the standards of biostatistics to the field of nursing, provide backing for evidence-based practice, and nursing research and innovations. Advanced Physiology: This course allows students to gain a better understanding of anatomy and physiology from an advanced perspective. Students may take part in an in-depth study of organ systems, identifying the many different components and relationships in existence. They may also integrate their knowledge of the organ systems to studies surrounding the diseases that can become apparent during or throughout the lifespan. Clinical Pharmacology: Clinical Pharmacology takes into consideration different topics within pharmacotherapy. Drug prescribing, clinical use of pharmaceuticals, therapies, and other topics that are relevant to specific diseases and illnesses can be found within this program. Students within these courses can gain a better understanding of these various topics in relationship to their future profession. Clinical Judgment: Students in this course can learn various techniques and theories regarding clinical judgment. Good judgment is a requirement of becoming an effective and helpful nursing professional. In a fast-paced and sometime overwhelming environment, students can learn how to process information in a way that promotes effective reasoning and sound decision making. Problem Identification in Health Care: This course blends the need for critical thinking and analysis in the nursing process. Students within this course can learn how to break down issues in order to determine effective means of assessment and treatment. Information gained throughout this course may be used in comparison to case studies, so that students are given the opportunity to apply what they have learned. How much does a Child and Family CNS degree cost? There are a lot of factors that will cause the cost of a Child and Family CNS degree to vary. Are you completing the degree online? Is your tuition considered in-state or out-of-state? Is the state or city of the college high in the cost of living? Factors like these will cause the cost to vary – often drastically. We’ve pulled some information on sample schools to help you gain an idea of the cost. The online DNP – Clinical Nurse Specialist degree at Johns Hopkins University is an excellent choice for students that want a great quality education in an online setting. The costs of this degree program include $45,568 in tuition per year, a $500 matriculation fee, a health insurance fee of $3,730 (one-time), and a health fee of $474. The University of Minnesota also offers a competitive MSN program that is specific to pediatrics. This program can provide specialized learning in care for infants, children, and adolescents. The university charges $17,832 per semester for in-state students and $26,988 per semester for out-of-state students. Fees can vary depending on the university that you choose. The fees are also subject to change at any time, so it is important to stay up to date with the fees charged by each college throughout your search. As another specialty degree program, the University of Texas at Austin’s MSN Adult-Gerontology CNS program can provide an excellent opportunity for upcoming students. This program is designed to assist students with learning more about the aging population so that they can provide high quality care. The total tuition costs for this program is $6,019 per semester for in-state students and $11,229 per semester for those out-of-state. 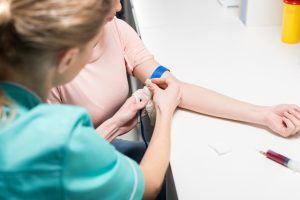 When you have decided to take the plunge into a career in advanced nursing, you probably have a good idea of what job you might want to obtain after graduating and getting certified. However, not everyone has this confidence in their future. If you know that this is the career field you want to work in but are not sure what is waiting for you once you have finished it, be confident in the fact that there are plenty of field available for you to express your expertise. Our team of experts looked at some of the various applications of this degree program in order to find some ideas for your future endeavors. Take a look below at some of the potential fields you could work in with this degree. With a degree as a Child and Family Health CNS, you could potentially find employment in several different ares within the health care field. These professionals are often called upon to provide leadership and advising to neonatal units within hospitals and specialty clinics. These professionals can work to ensure that their team is following the guidelines set forth for medical facilities and provide insight to team members. CNS within this discipline may also be a helpful part of a general health care team for families. Since you would be specializing in the care of people within this category, general health care clinics, doctor’s offices, and medical centers can call upon you to help provide care to these patients. In this career field, you could be a great source of consultation for patients that are looking for ways to improve their own personal health or the health of their families. Family health and wellness initiatives require educated professionals to assist with the planning and development of new programs. In a private setting, CNS can be a helpful part of what keeps families safe and treated in case of illness or injury. Since some states allow CNS to prescribe medicine, these places places would be a great place to indulge in private practice. Slowly, more and more states are allowing professionals within this field to work without having to have physician supervision, which is why private practice could be a great opportunity for you as a practicing professional. In this field, you could provide direct care to your own set of regular patients within an office setting. One field that is a great place for CNS to find a career is within education. Due to the higher knowledge in nursing and specializations that are taught during higher degree programs, professionals in this field could be a great addition to nursing education teams. Instruction courses throughout the school year and sharing your ideas and knowledge with nursing students could be a career option if you have an interest in teaching. If you want to share you skills and knowledge with others on the same track, this is a great field to work in. As with most other nursing professions, the amount you can earn can vary greatly depending on where you work and what you do. In the field of education, nursing educators have the opportunity to earn around $75,030 per year on average (BLS; 2016). For nurses that are practicing within the field, salaries can be closer to the national average of practitioners, which is $100,910 per year on average (BLS; 2016). In addition to the standard nursing license requirement, you will also be required to receive certification within your specialty prior to practicing with the public. The American Nurses Credentialing Center is place to find information regarding certification for different specialties, application for certification, and documents pertaining to the certification examination. Completing all of the required steps set forth by the ANCC can set you on track for certification, which is followed by a lifelong and fulfilling position as a Child and Family Health CNS. If you want a career that can make a difference in the overall health and wellness of families, Child and Family Health CNS programs might be the best thing for you. These programs are exceptional in their quality as well as the amount of information they provide. As you look through different programs in order to find one that seems right for you, be sure to consider the varying prices, the length, and the requirements for each. Once you have worked your way through the program, there is no limit to the possibilities available to you during your career. The work that you can do as a Child and Family Health CNS can not only positively affect your life, but also the lives of others. See below for the list of all of the Child and Family Health CNS programs in our database.